On Friday, July 29th, Alyssa’s Godmother, Nancy Avila and friend, Lilia Olvera joined Yoli and returned to the Instituto Nacional de Pediatría (INP) (National Institute of Pediatrics) in Mexico City to deliver the musical instrument gifts that had been requested by the children being treated at the INP. 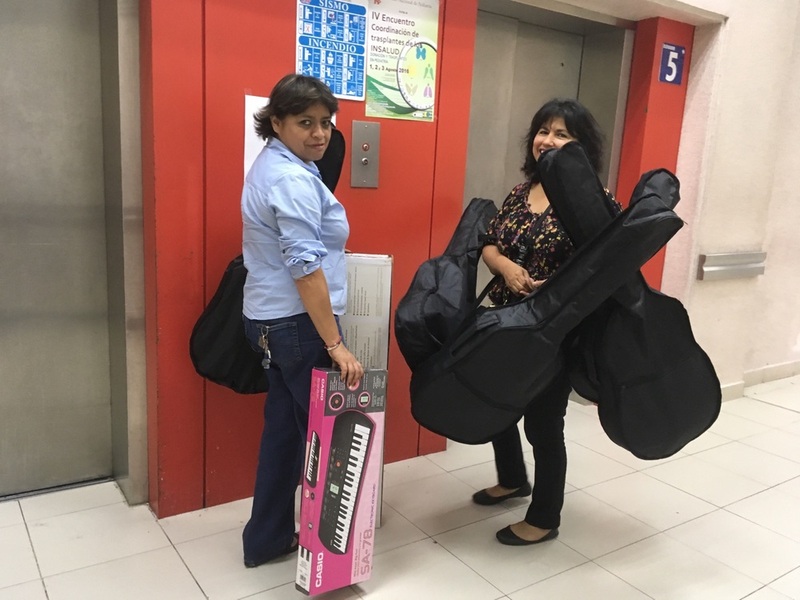 That same morning, Lilia, Nancy and Yoli went shopping for the musical instruments and delivered guitars and electronic keyboards to 7 Gift Recipients. It was amazing to see the young cancer patients’ happiness and joy as we entered the hospital rooms and delivered their gifts. 5 children received guitars and 2 children received electronic keyboards. Victor (17) was diagnosed with leukemia 4 years ago. He lives in Mexico City with his family. Victor wants to learn to play guitar and write songs. Victor received a blue/black acoustic guitar. Emily (16) was diagnosed with antiphospholipid syndrome. Emily is from Hidalgo, Mexico and is looking forward to learning how to play the guitar. Emily received a red acoustic guitar. Brian (16) was diagnosed with sarcoma synovial cancer 3 years ago. He lives in Col. San Francisco Tlaltenco, Delegacion Tlahuac in Mexico City. Brian likes to listen to music especially rock and wants to learn to play the guitar. Brian received a red acoustic guitar. Nicole (10) was diagnosed with leukemia in June 2016. She lives in Fuentes Del Pedregal, Mexico City. Nicole likes to sing, dance, cook, gymnastics, swimming, bike riding, hanging out with friends and listening to music. Nicole received a pink acoustic guitar. Rafaela (7) has hemophagocytic syndrome. Rafaela told us she would like to learn how to play guitar. Alyssa’s Godmother, Nancy, donated her small guitar and guitar bag. Rafaela received a guitar with the “Frozen” movie characters. 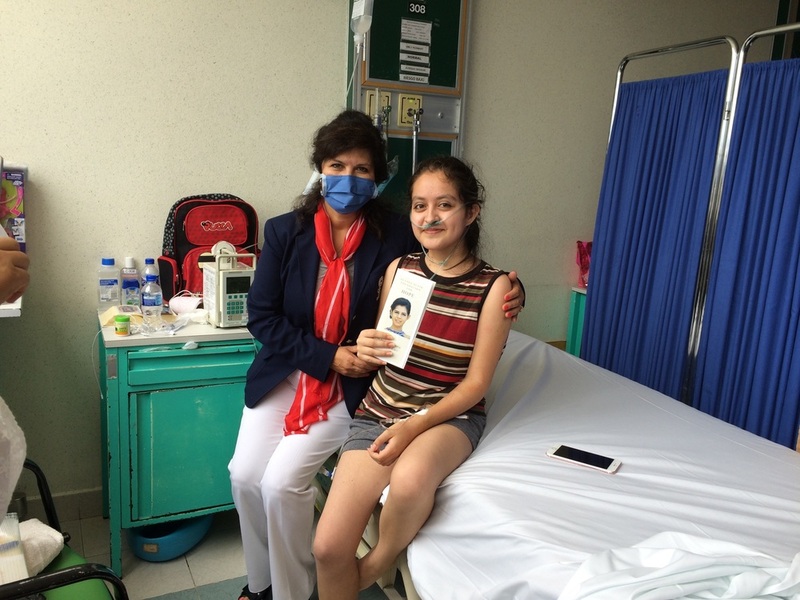 Alexander (14) was diagnosed with leukemia May 2016. He lives in San Sebastian Tulyehualco, Mexico City. Alexander likes to read a lot and loves playing any instrument with keys. His mom, Rosalva, told us his fingers work magic when he plays. Alexander received an electronic keyboard. Josue (11) was diagnosed with leukemia in May 2016. He was on the soccer team and wants to be able to go back to school so he can graduate. He’s interested in learning how to play the keyboard. 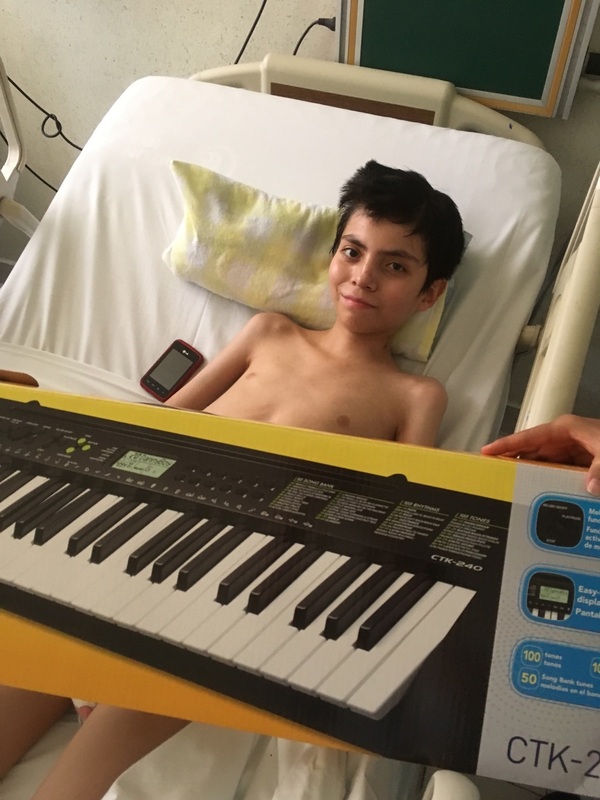 Josue received an electronic keyboard. All the young patients were delighted to receive their gifts! 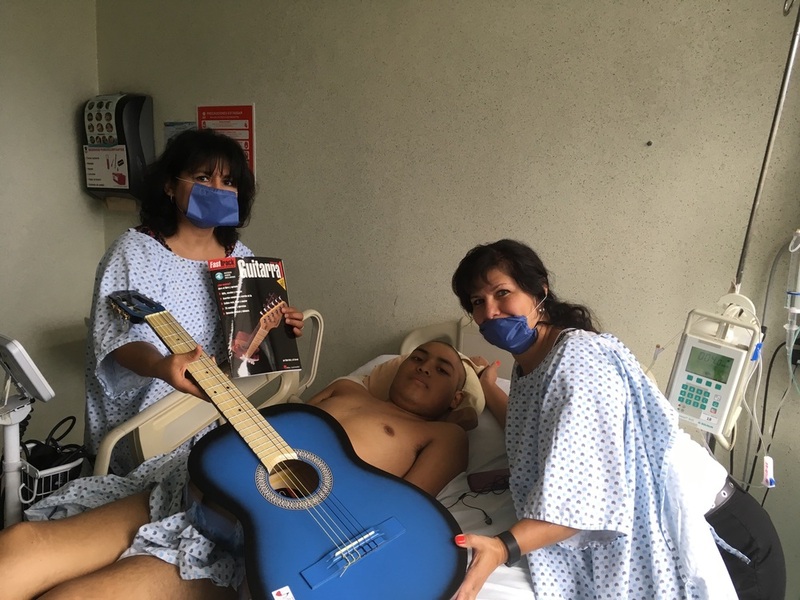 We thank all of our supporters and donors who are making it possible to deliver musical instruments for more teens and young adults going through medical treatment. It feels great to bring joy and hope into the lives of these young cancer patients!